Are some of the applications and processes designed to make your life easier actually causing you more stress? Before you decide to change course or perform an overhaul of your systems, let us see if we can enhance what you have. It could save you thousands of dollars. 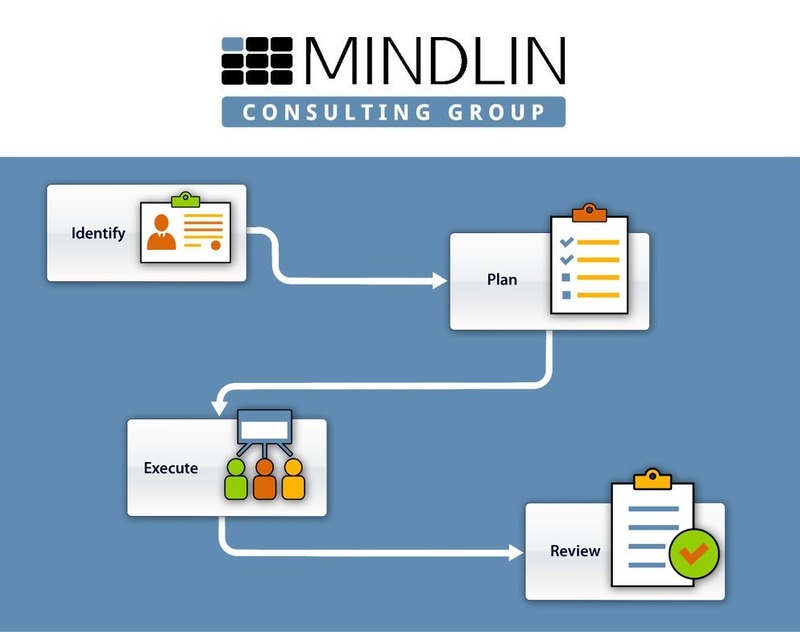 Process Improvement is the main competency of the Mindlin Consulting Group. We use our 3-step process (Analyze, Optimize, Visualize) to find where there may be current gaps and pain points in your systems or processes. For instance, here's a Use Case Scenario that features one of our most powerful (and popular) products. Clocking Data Collection: The inControl data collector can facilitate timekeeping or labor clock-ins and clock-outs for hourly personnel. There are big advantages to using an integrated system for both payroll and direct labor collection, one of the biggest is employee efficiency. When we can easily access how much time the employee was clocked in and working on direct labor tasks, plus the production data associated with that shift, we can easily calculate utilization and efficiencies by employees. Collecting this data through inControl is a fairly simple task. The key is to make the system aware of the employee's current status. Are they clocked in or clocked out? Are they off shift or out to lunch? Are they working on indirect labor assignments, e.g., meetings, cleaning and organizing, or machinery improvements? What is the tolerance for clocking in? Are they allowed to clock in early, and if so, does the company pay for that time within set parameters? Typically an employee cannot clock in exactly at the start of their shift, so the system will often record the actual clock-in time and the adjusted time, which will round up (clock-in) or back (clock-out) to the nearest tenth (6 min. ), quarter (15 min. ), or even twentieth (3 min.). Another advantage to having the systems combined is it can check and see if an employee stopped the work / job they were undertaking before clocking out. This prevents data integrity or oversight issues that have to be resolved by a supervisor later.